A gundog working test, field trials or a walked up shoot may not be your thing but if you want to gain an incredibly strong bond with your dog, exercise his body and redirect his mind then this could be the activity for you and your Slovak. 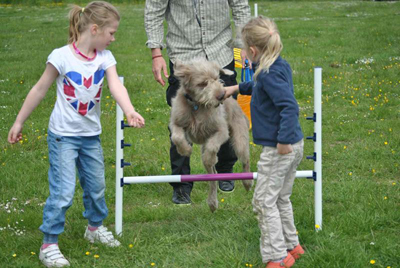 Dogs just adore agility which can also become highly addictive for the handler. 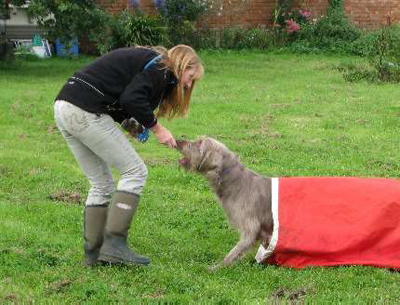 It’s a perfect solution to flex his health and mental stimuli as agility can reduce your dog’s boredom threshold, improve his behaviour, his off lead reliability and increase the communication and body language skills between you both. This activity is available to anyone of any age and personal ability, ranging from children to retirees. The fitter you are the better, but it’s certainly not a requirement in order to join in. What’s known as agility trials usually take place throughout a whole weekend supported by local clubs and are reported to be friendly affairs where there can be no elite or favouritism within competitors, clubs or dogs, as winnings are based purely on the dogs’ ability, not the breed, breeder or kennel. There are classes available for most breeds and Slovaks are up there. The rules appear quite complicated at first glance, but as with anything it soon becomes clear so don’t be put off by them. 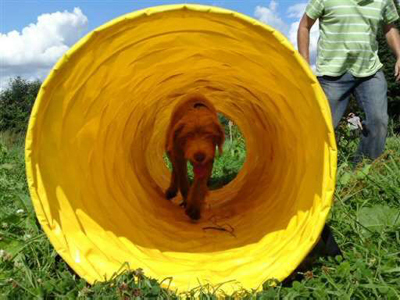 Whatever pastime you decide to do with your dog, agility has to be up there with the best, it’s fast, furious and fun but above all has enormous benefits for you both.